Data are organised using a master-and-details interface, which is very easy to use. 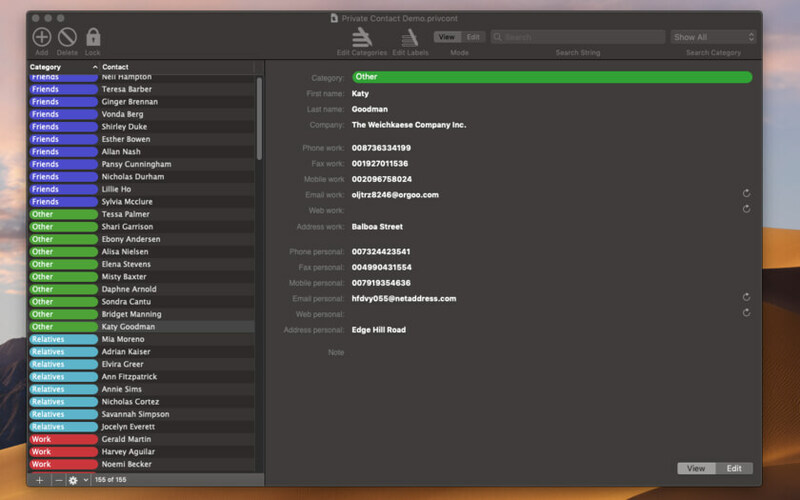 Custom colour categories can be associated with contacts to categorise them. 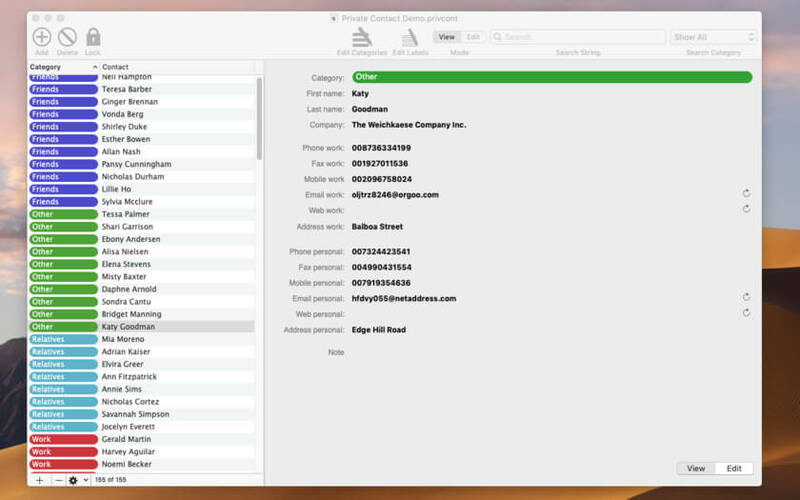 Everything can be sorted by name, company, or category. Search can be performed via a combination of keyword and category. Colour labels inside the view can be totally customised by the user. Custom colour categories can be created, modified, and assigned by the user at any time. Export to TSV, CSV, Html table, web pages, custom format with custom tags. Very secure AES-256 encryption algorithm. No one can decrypt your own data. Rock solid native macOS algorithm to encrypt and decrypt. This is a native Mac only app.